New Gorillaz music is "unlikely," while Blur breaking up, post-Hyde Park gig, is a definitive "in all likelihood"
Damon Albarn’s most famous projects may not make it to see 2013. The British musician all but destroyed Blur and Gorillaz fans’ hopes of new material, seemingly to divert attention to his new-ish solo project Dr. Dee, in a recent, particularly intimate interview with the Guardian. Gorillaz’ fate seems even bleaker. Albarn refers to the project at first with pretty much ludicrous casualness: “Gorillaz was a really wonderful, spontaneous thing. It started with two people sitting on a sofa, going, ‘Let’s make a band.’ ‘All right, I’ll go into my studio and draw some characters.’ ‘I’ll go in mine and make a tune, and we’ll put them together. 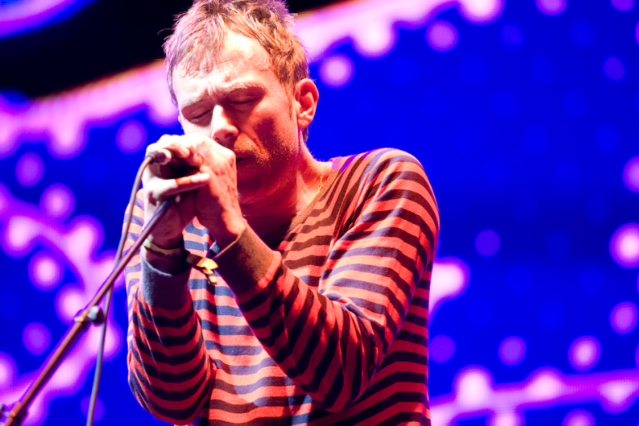 '” But as for whether the band will put out new music following their recent Converse collaboration track with James Murphy and Andre 3000, Albarn’s answer is a definitive “er… unlikely,” explaining that during the project’s last record Plastic Beach, he and illustrator Jamie Hewlett were “at odds” — during the band’s 2010 tour, for example, “the music and the videos weren’t working as well together, but I felt we’d made a really good record, and I was into it. So we went and played it.” He said the pair have had a sort-of fall out since then.